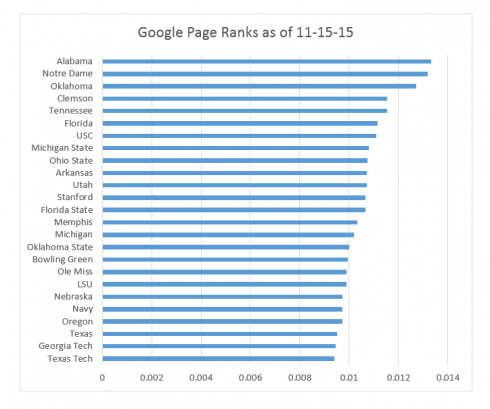 I am enjoying my research with Dr. Ryan Jessup about the applications of Google’s page rank algorithm to other uses, including ranking sports teams. Believe it or not, this stuff actually relates to the courses that I teach at ACU. 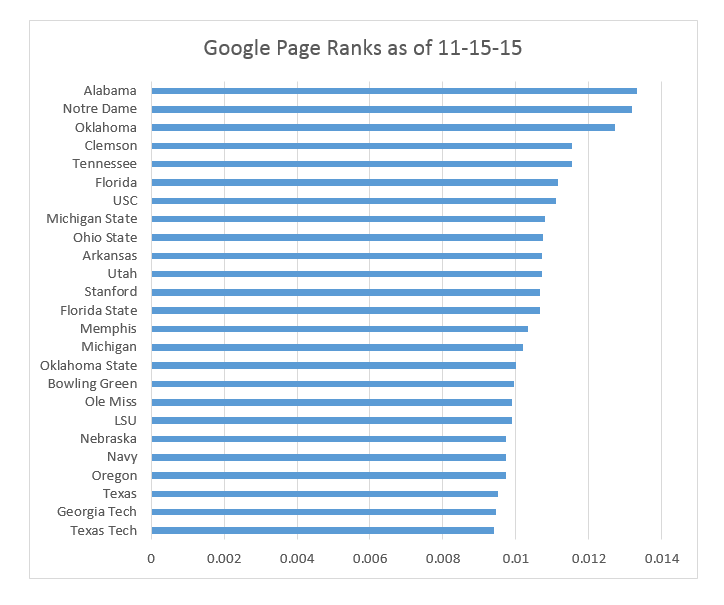 This data crunching and analysis of college football results involves statistics, mathematical optimization and model fitting, and cause-effect analysis, all of which relate to the 3 courses that I am teaching this semester: Statistics, Management Science, and Quality Management. Now, about the title of this blog post. I am a proud Aggie Industrial Engineer, and it hurt my pride enormously when my Aggies dropped from our carefully calculated rank of 32 to 52 after the Saturday November 14th weekend. You see, our algorithm does not accept game results when a big school like Texas A&M plays “Roast Beef Tech” (with apologies to Western Carolina fans). So, A&M dropped in our rankings below such traditional football powers as Bowling Green and those unworthy academic establishments in Austin and Lubbock, Texas. Wow. That hurts.